So, you thought you found your perfect jeans only to discover they’re a teensy bit too slouchy after all-day wear? Shrinking your jeans totally works (trust us!) and there are many methods to test out to get the best fit for you. Keep reading to learn how to shrink your jeans. Regardless of their stretch, most denim is made from cotton which is susceptible to shrinking when exposed to dampness and heat. Even if you own a super-stretchy pair of skinnies, a little heat will go a long way. Stylist Tip: Don’t worry if you have to struggle and squeeze a bit when you first go to put them on afterward, this just means you made progress but they’ll mold back to your shape. Leave your denim submerged in boiling for at least 30 minutes and then pop them in the dryer on high heat for a similar approach to the wash & dry method, but with more dramatic results. If you own vintage or 100% cotton jeans, wear them in warm water! When fully soaked, denim will conform to your body; molding to your shape for a custom-fit. When you’re ready to commit to a permanent solution, enlist the help of a professional tailor. Cutting into your denim and taking away a few centimeters or even inches is the answer to finding a long-lasting result that’s literally made for your shape. 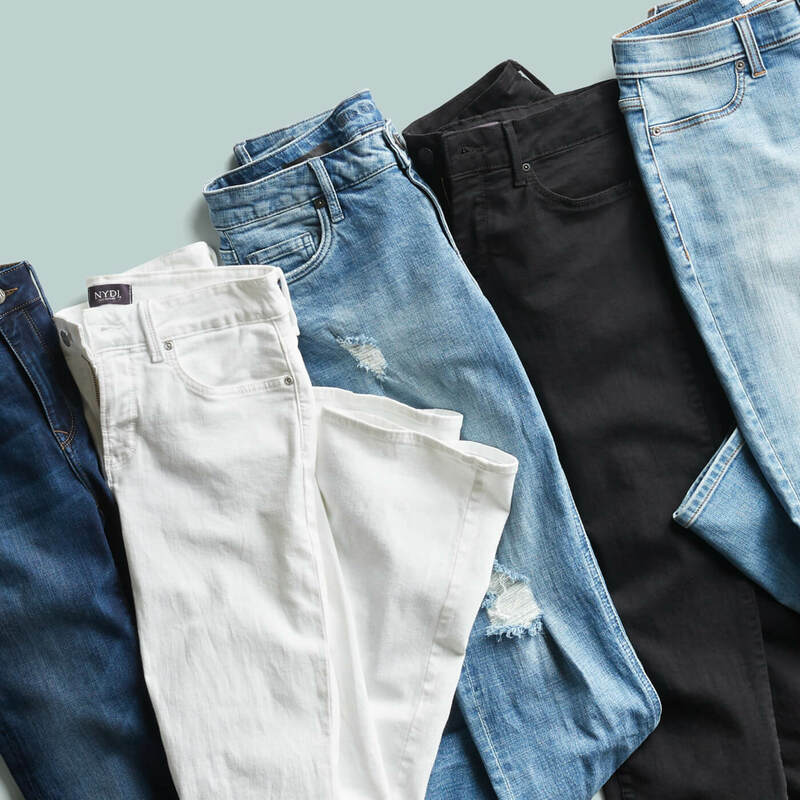 For denim love that lasts, your jeans might require a little refresh and revamp from time to time so don’t hesitate to try these tricks to shrink your favorite jeans down to size. Have your own tips for shrinking a pair of stretched out jeans? Tell us in the comments!